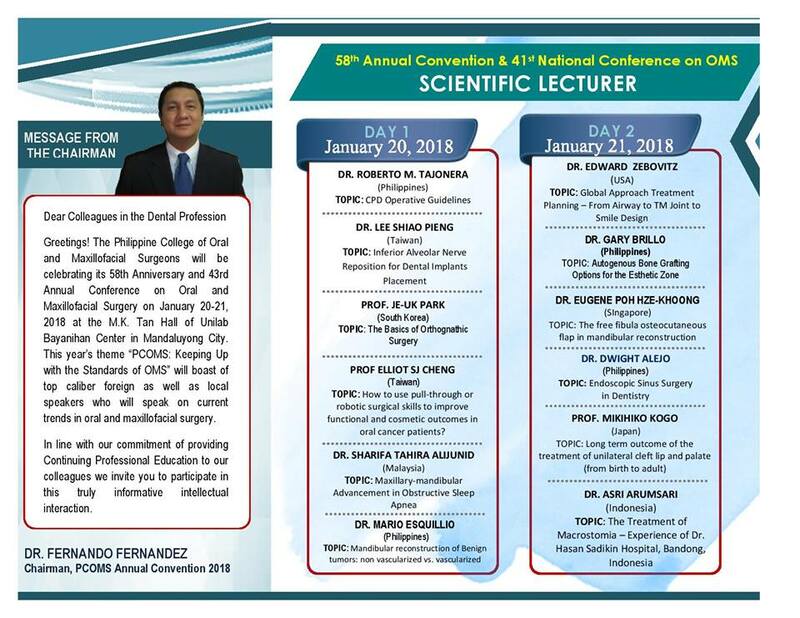 The Philippine College of Oral & Maxillofacial Surgeons will be celebrating its 58th Anniversary this 2018. In conjunction PCOMS will be having the 41st National Conference on Oral and Maxillofacial Surgery at the UNILAB Bayanihan Hall, Mandaluyong City Philippines on January 20 – 21, 2018. The theme for the 41st National Conference is ‘Keeping up the Standards in Oral Maxillofacial Surgery’.